You all know that I'm lucky enough to have a bloke who not only bakes but is actually a superb chef. He does 90% of the cooking around here. I do lend my hand to the odd bit of baking but he is definitely the star of the food show in our house. So when I got a massive craving for the Blokes who Bake Cheese Scones last week, my bloke happily obliged. Now I should tell you that not all cheese scones are created equal. Some can be too doughy and some skimp on the cheese. 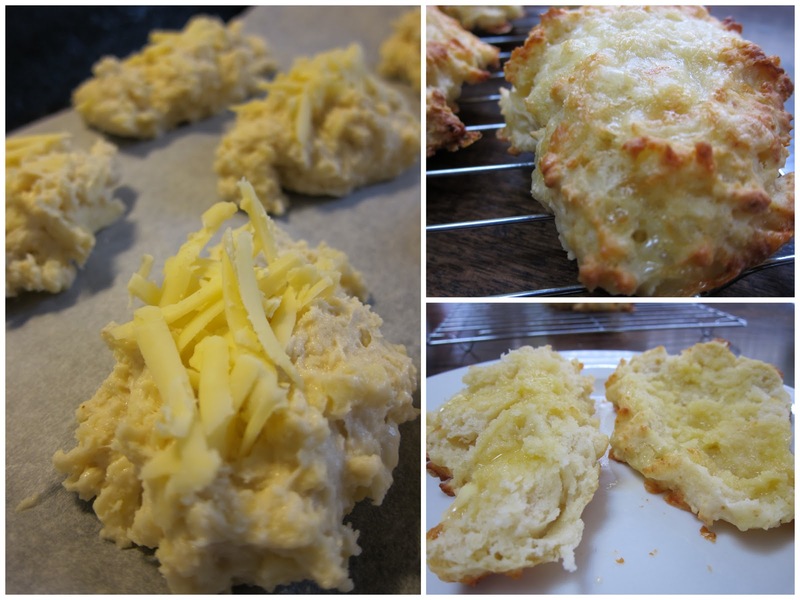 Some are way too crumbly, and to be honest some just don't really deserve to have the honour of callin themselves cheese scones. But I promise you these scones will NOT disappoint! Chop butter into the flour, get your fingers into it and squeeze it all through till the mixture is coarse and chunky. 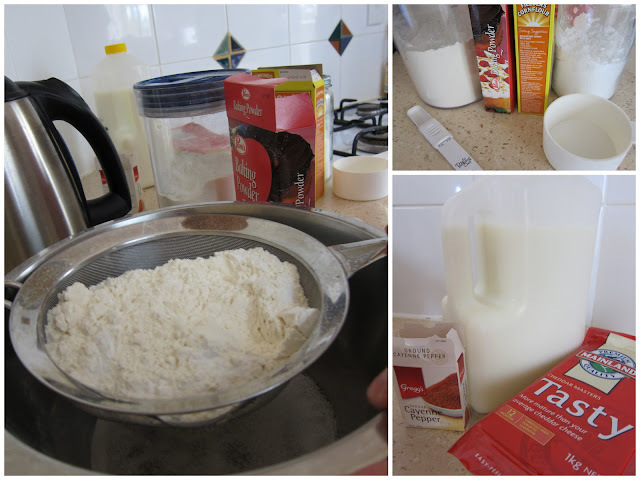 Add the rest of the dry ingredients then use a knife to mix in milk. The key here is to think of the best bits of Angelina Jolie when the word 'gently' appears. Don't be too rough. Gently (think Angelina) shape stiff mixture on a floured board or the bench top, cut into the right size chunks (up to you) and place on baking paper on a cold oven tray. Bake for about 12 minutes. And the recipe just wouldn't be complete without the Blokes who Bake rating system. 5. There is a heaven. 4. Another blimin slice, please. 3. Not bad. Homer Simpson would eat it. 2. I feel stomach cramps coming on. 1. I wouldn't even feed this to the Mother-In-Law. Perhaps you could even convince your bloke to give these a go?! Men who cook..............a winning combination. haha funny :) love the rating system.